JEWISH leaders who knew a teacher had admitted fondling young boys did not stop him associating with children in Israel after paying for his ticket to move there, the royal commission has heard. The actions of the Yeshivah Centre and school in Melbourne — part of the orthodox Chabad movement — as well as its counterpart in Sydney are being examined in relation to three convicted pedophiles who abused children while working there. 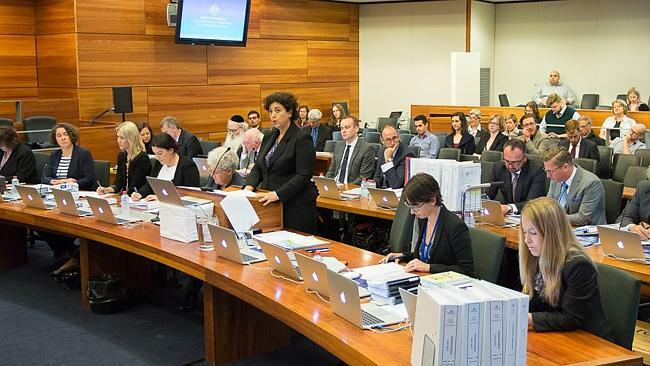 The royal commission investigating institutional responses to child sexual abuse today heard evidence about how Yeshivah had responded when parents became aware in 1992 that teacher David Kramer had sexually touched some of his young students. Zephaniah Waks, father of three boys who were abused at Yeshivah College, said senior rabbi Yitzchok Dovid Groner had told him a psychiatrist had examined Kramer and concluded the teacher allowed himself to be caught because he wanted to be stopped. Rabbi Groner, now deceased, reportedly said there was a risk of self-harm so Kramer could not be fired. The commission heard Mr Waks felt neither he nor any other parent could inform the police because they would be shunned and intimidated by the community, under the ancient Jewish code of mesirah which prevents Jews from informing on other Jews to civil authorities. A statement from education professor Ramon Lewis, provided to police for Kramer’s prosecution, reveals he met with Kramer at the request of Yeshivah’s leadership. “Rabbi Kramer admitted to me that the had touched the boys but he was quite clear that the boys had initiated the touching and that no harm was done,” Professor Lewis said, adding that Kramer appeared genuinely convinced the boys had “desired” the abuse. Kramer was dispatched to Israel later that week, with Yeshivah paying for his airfare. A statement from Yeshivah chairman Harry Cooper to police shows he spoke to Rabbi Groner about the parents’ request to remove Kramer from the school, and Rabbi Groner said he did not want to “convict” Kramer without fair hearing. Rabbi Groner resolved to send Kramer back to Israel, warning Kramer that his threat of an unfair dismissal case was not a wise option. Mr Cooper said an Israeli school later contacted Yeshivah, asking whether it should hire Kramer. Yeshiva advised Kramer had left Melbourne “under a cloud” but did not disclose the abuse. Mr Waks said he personally knew that Kramer had been allowed to lead a youth group and be in close contact with children in Israel, prompting him to tell an Israeli friend of Kramer’s history. “They said if there had been some problem like this, they would have been notified by Australia,” Mr Waks said.